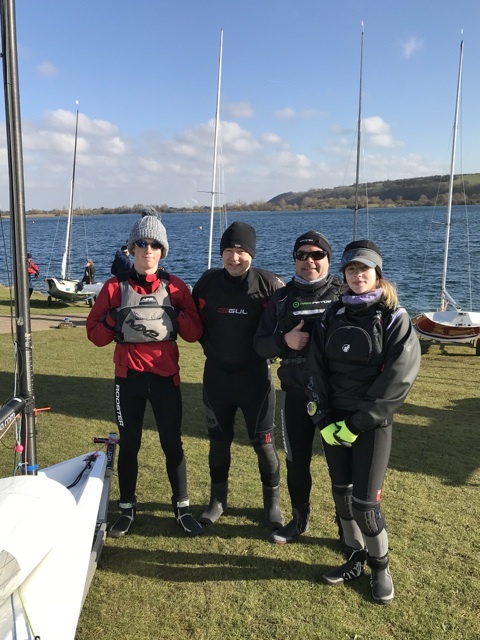 The County Cooler was Round 7 of the RS Aero UK Winter Series and it was great to see a Fearsome Foursome of 4 RS Aeros out enjoying the sunshine and braving the chilly conditions at Notts County SC, with Roscoe Martin of Ogston SC taking 7th overall from the 47 entries. Meanwhile on Sunday 25th Round 8 was also occurring at Starcross, Devon with the double venue and choice reducing winter travel. 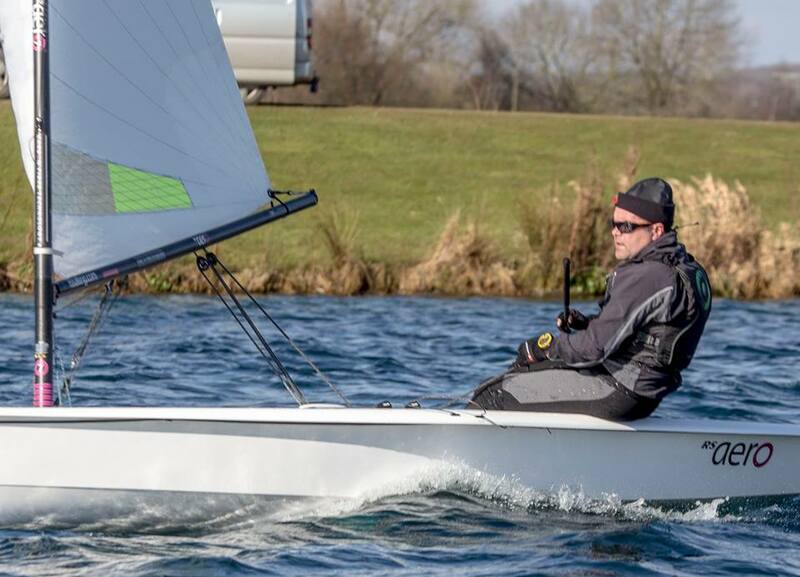 The second Notts County Cooler over 24/25th Feb 2018 lived up to its name in no uncertain terms, top temperature with wind-chill was probably 3 or 4 ‘C however 45 hardy sailors braved the temperature for some good racing. The mini Midlands series sees a weekend of racing at Staunton Harold, the Staunton Blaster, and one at Notts County as a ’warm up’ to the season. The wind was a little variable at times but gusted to 18 knots on Saturday and Sunday averaging force 3 to 4 much of the time. 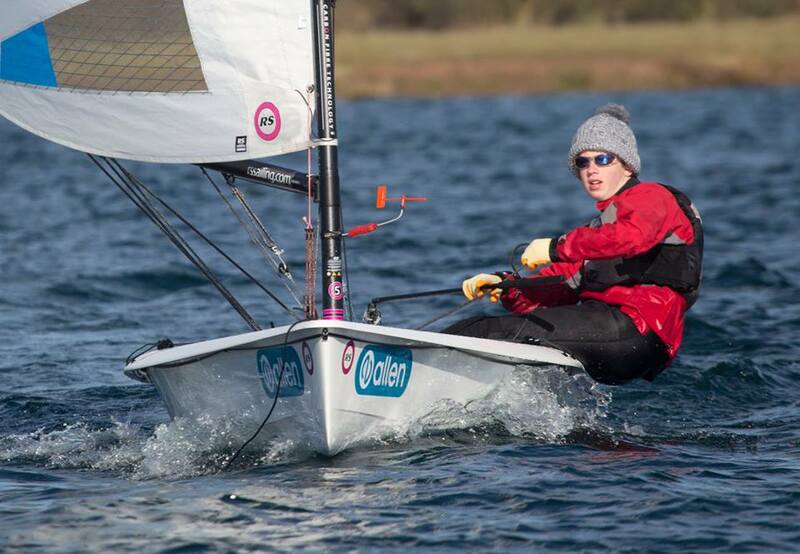 The cold water was an incentive not to capsize and few did. Saturday started with a race before lunch, then two back to back after lunch. 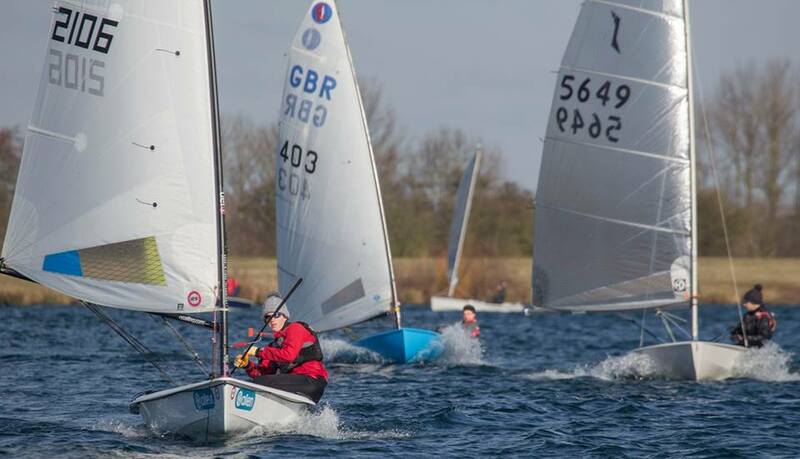 Sunday saw a pursuit race with a handicap held back to back. The combined series of Staunton Harold and Notts County saw a superb entry of sixty one entries at the two events. Roscoe Martin took a creditable 5th overall over the 10 race, 2 event, series.